Urinals are used in the majority of public bathrooms for their convenience and ease of use. They are present in men’s toilets of public buildings, universities bars, restaurant, clubs and in many more other places. Urinals are preferred to regular toilets in public washrooms, as their usage is faster, they take less space and there is no need for additional costs such as those that incur for additional doors and locks. 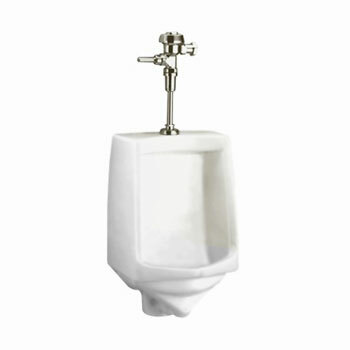 View the Entire Section of Urinals and Accessories at Everyday Low Prices! 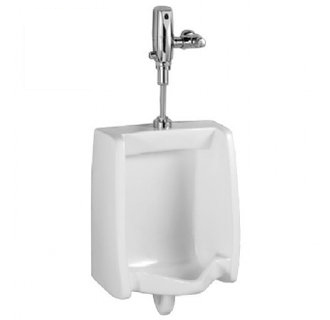 Nowadays, the majority of urinals have a flushing system incorporated in order to rinse the bowl after usage and prevent any type of unpleasant odors. 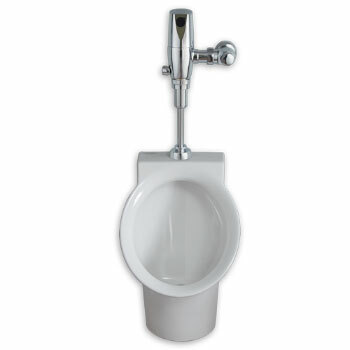 There are several methods of triggering the flush, including manual handles, timed flush, automatic flush and door regulated flush. 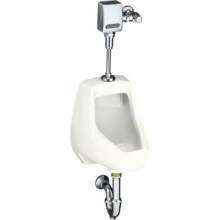 A more modern invention is that of urinals that do not need water in order to function, also known as waterless urinals. Water saving urinals or waterless urinals are friendly to the planet, as they are saving water, but they are also recommended for saving the money for that water. This does not mean, however, that there are absolutely no costs related to the maintenance of waterless urinals, but the urine traps only need to be changed a few times a year, which is of course less expensive than thousands of gallons of water. 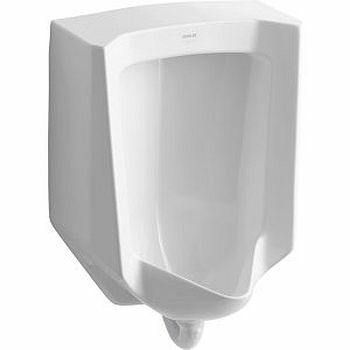 Other advantages of water saving urinals over conventional ones include the lack of odor, lack of urine crystal and the very low necessity for maintenance. 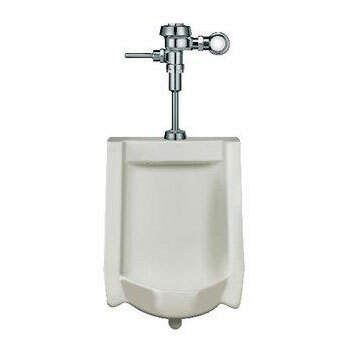 While conventional urinals necessitate the intervention of a plumber for the repair or unclogging of water pipes, the use of waterless urinals eliminates this kind of problem. Moreover, there is no need to clean out the limestone buildup that occurs with conventional urinals. Problems such as frozen or burst piping are also eliminated as a consequence of the units functioning without water. 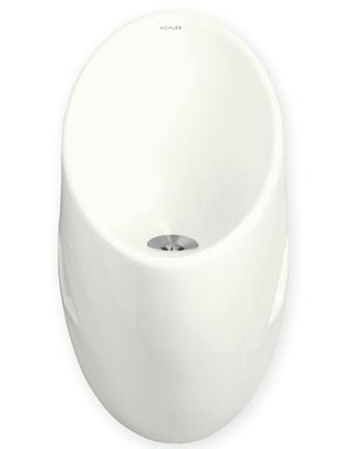 There are several types of waterless urinals to choose from when deciding to incorporate them in washrooms. The microbiological waterless urinal systems are designed in a way that generates a hostile environment for the bacteria that cause bad odors. 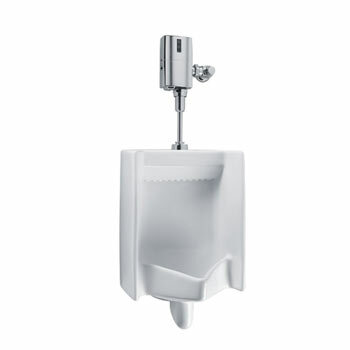 The barrier waterless urinals prevent the bad odors from reaching the washroom by using an oil-barrier fluid through which urine and debris pass. The fluid is usually contained in a cartridge that needs to be replaced every 2 to 4 months, depending on usage. The third type of water free urinals are the valve waterless urinal systems, which use a one-way plastic valve that once closed, eliminates the possibility for odors to reach the washroom. These urinals require a slightly higher degree of maintenance than the other types, as debris and urine crystals need to be cleared on a regular basis. 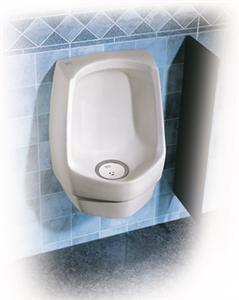 Waterless urinals are a cost-effective and environmentally friendly alternative to water flushing urinals. Choosing them for the washrooms of a business will save a lot of money in the long run. 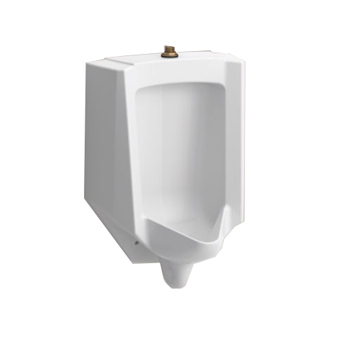 Falcon water free urinals are designed for saving water, reducing the operating costs, diminishing greenhouse gases and providing cleaner restrooms. These urinals use the latest technology advancements for eliminating the need for flushing urinals. The urinals provided by Falcon feature patented urinal cartridges that are touch free and act as filters. The sealant liquid eliminates all odors and the cartridges can be replaced in a matter of minutes. Falcon water free urinals require a very low level of maintenance. All you need to do is a regular spray-and-wipe cleaning of the fixture and changing the cartridges two times a year. Falcon produces a variety of water free urinals and you can choose the type that is suitable for your budget and design requirements. A basic option is the F-1000 Vitreous China Water free, which features clean lines and is perfect for most retrofits. As all the Falcon water free urinals, the model blends attractive appearance with convenient cleaning. 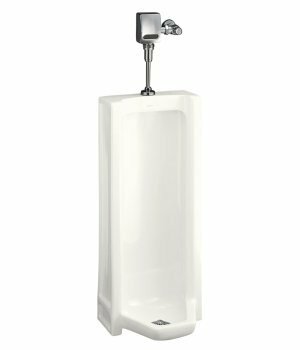 With an experience of over a century in providing residential and commercial solutions, American Standard is one of the most trusted brands that provide water free urinals. 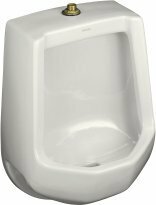 The vitreous china urinals manufactured by American Standard come in a large variety of designs, suitable for any type of environment. 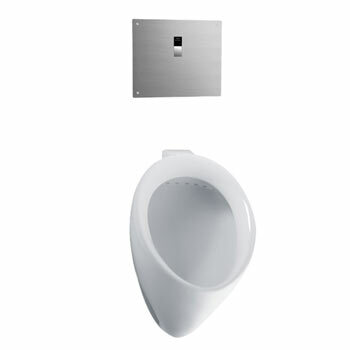 You can choose from floor-standing models and wall mounted water free urinals. The urinals are all designed with environmental protection in mind. 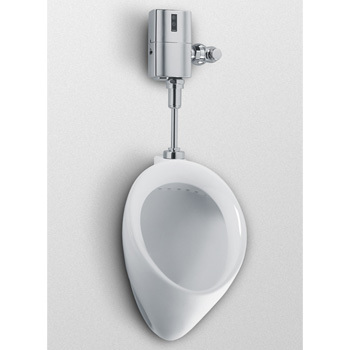 The absence of water usage makes the American Standard urinals high-efficient solutions for any bathroom application. 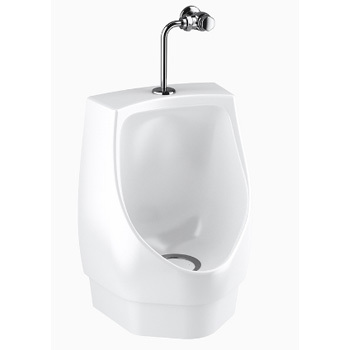 Besides the range of water-free urinals, American Standard offers a collection of water-efficient models that are especially designed for reducing water consumption. The urinals feature an eco-friendly electronic sensor technology that makes them an excellent choice when it comes to reducing the maintenance costs and protecting the environment. Sloan Valve Company has been a leading producer of plumbing systems with reduced water consumption since 1906. Their range of products includes plumbing products designed for commercial, industrial and institutional markets. In order to protect the environment even further, Sloan Valve Company also provides water free solutions when it comes to urinals. Incorporating such products in washrooms benefits building owners, architects and contractors in their quest to achieve their water conservation goals. 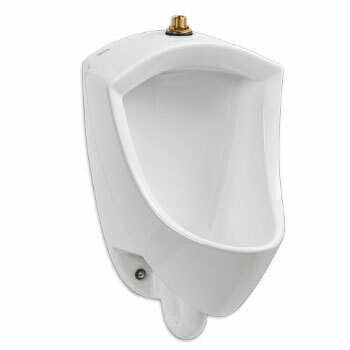 All the waterless urinals manufactured by Sloan Valve Company are easy to maintain and their running costs are minimal, as the cartridges only need to be replaced approximately two or three times a year. These cartridges are placed in the bottom of the urinals and it does all the work by directing flow, collecting sediment, preventing odors from escaping and allowing the passage of waste down the drain. 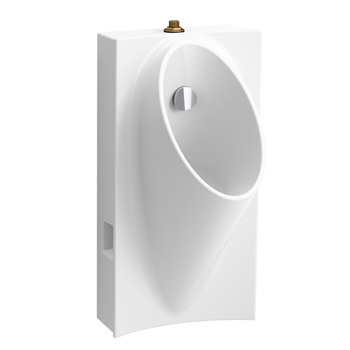 The wall-hung water free urinals produced by Sloan Valve Company feature a patented sealed locking cartridge, touch-free operation, a non-porous, smooth surface and there is no need for installing any water supply piping. The urinals require minimal maintenance and they create an odor-free and hygienic environment in washrooms. Kohler has been producing bathroom and kitchen plumbing solutions for over a century and it currently has over 50 manufacturing locations spread all across the world. In the recent years, the company has been producing environmental safe solutions that are designed for institutions and companies that want to step into a greener future. Each waterless urinal produced by Kohler helps conserving thousands of gallons of water per year. In addition to that, they offer outstanding performance and reduce the maintenance and sewage costs. All the products in the range of Kohler water-free urinals have stylish can innovative characteristics that are not to be found in traditional types of urinals. 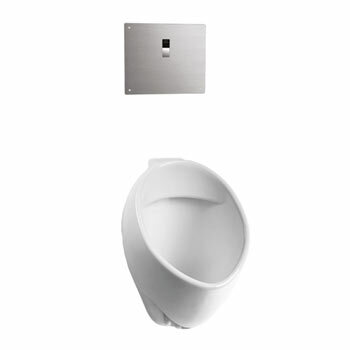 The distinctive feature of these urinals is their elliptic form that helps creating a sleek design. Kohler urinals provide splash-free surfaces as well as easy-to-maintain and odorless performance.